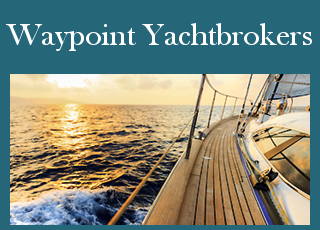 Waypoint Yacht Brokers Ltd was founded in January 2014 because we have a passion for boats and want to make the whole experience of either buying or selling a boat to be enjoyable and stress free. Whether buying your first boat or moving on to your next boat you will be looking to realise a dream. With professional guidance and our passion for excellent customer service we want it to be an experience that you will cherish. With offices on the River Medina and in Yarmouth Harbour on the Isle of Wight we are perfectly placed to provide Islandwide coverage. We have built an enviable reputation for customer service and offer a refreshing approach by providing a one-stop-shop solution for the sale of both Yachts and Motor Boats alike. We state that ‘we will be with you every step of the way’ and those are not empty words as our testimonials bear out. Come and have a friendly chat with us to find out how we can work together. 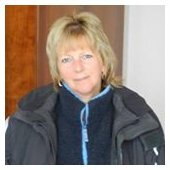 You will find Bob & Chrissy at their waterside office beside the slipway in Clarence Boatyard, East Cowes and Roy in the Harbour Office at Yarmouth. Best to call first to check that we will be there and not out on the various marinas. Alternatively we can meet you on your boat or in a local café or bar to chat over a coffee. If you are wishing to sell your boat you can be assured that we will do our utmost to find the best price. We can advise you on the value and will personally inspect and photograph your boat. If there are works required to achieve the best price we will be happy to obtain quotes for you and can even project manage the work. Once listed we will advertise your boat on our own website and on all of the major internet portals to achieve maximum coverage, not only throughout the UK and Europe but internationally. All viewings are accompanies by us and we will provide you with feedback. We meet all prospective purchasers from the ferries or hovercraft to make viewing boats on the Isle of Wight an easy experience. 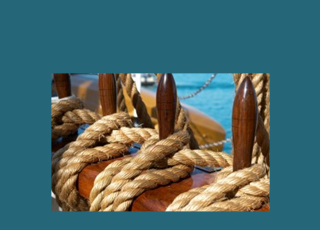 You will have the peace of mind that we will be with you every step of the way, smoothing the process from producing all of the legal documentation, arranging a Sea Trial if required, and liaising with the Surveyor. The monies are safely handled through our dedicated Secure Clients Account – something that not all yacht brokers have! "From the moment you first contact us we will guide you through the process of finding your perfect boat." We will give you all the information about the boat that you are interested in – barnacles and all! By giving an honest appraisal of the boat we won’t be wasting your time in viewing something that is ‘not as expected’. If you are travelling from the mainland we can meet you from the Red Jet, Ferry or Hovercraft to save the expense of brining a car across to the Island. We will then take you to view the boat and drop you back to the terminal afterwards. You will not be rushed with an allotted timescale to view and we will endeavour to answer all your queries. We put all offers to the owners and will liaise with all parties throughout any negotiations. If you feel that the boat needs work, or there are improvements that you would like to make, we can either put you in touch with local specialists or obtain quotes for you. We can also obtain insurance quotes for you and set up the cover or assist with financing your purchase. Finally our in-house RYA Instructor can arrange own-boat tuition for you and your crew to gain some practical experience aboard your new boat. Alternatively you may prefer a formal qualification of Competent Crew or Day Skipper. 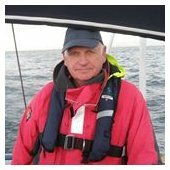 If this is your first venture into boating then why not take advantage of one of our many tutorial packages with Bob Holt, our experienced in-house RYA Instructor. 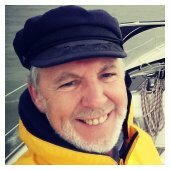 Bob is a qualified RYA Cruising Instructor with RYA Yachtmaster Offshore Commercial, Fire Safety and First Aid qualifications. 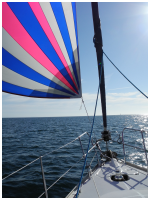 Training can either be on your newly acquired boat or aboard our 40 foot fully coded sailing yacht. Alternatively, it may be that you are already a seasoned sailor but would like your family or friends, who will be your new crew, to gain some practical experience. Whatever your requirements we have a package to suit you. You can choose from 1 – 5 days. Maybe you would prefer to just enjoy the experience of sailing to celebrate that special occasion, an anniversary or birthday perhaps. Just let us know what you would like and we will design a package to especially suit you. If you would like further information, send us your details via the message tab on our 'Contact' page and we will be in touch shortly.